Victor Lee, M.S. ’13, captured a national design award for his plans to convert an abandoned department store in Taiwan into EU Resort. His work, above, included everything from materials to style of furniture. Victor Lee exemplifies the excellence of ISU’s Department of Family and Consumer Sciences today. A 2013 master’s graduate of the interior and environmental design program, he completed rigorous courses and real-world projects that prepared him for a national win. Lee entered the Hospitality Industry Network’s NEWH Sustainable Design competition, which challenges students to showcase their design skills while using the best in sustainable products and practices. 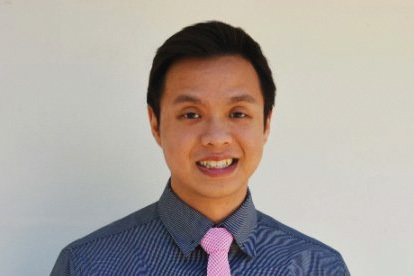 He was the only graduate student in the country to capture the 2014 NEWH Green Student Award. His project converted an actual historical building in Tainan City, Taiwan. The five-story structure housed a department store in the 1930s. Lee envisioned a modern, minimalistic, sustainable spa that he named EU Resort. He built a 3D BIM model that included detailed floor plans. He chose construction materials, creating designs for everything from light fixtures to furniture with an eye to both color and comfort. His finished blueprint took into consideration everything from ease of transportation to incorporation of cultural flavor. A native of Texas, Lee was raised in Taiwan before coming back to the U.S. and settling in Illinois. 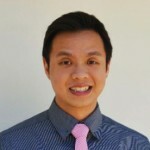 Victor Lee chose Illinois State, in part, because the department’s program is focused on commercial design. He chose Illinois State when shifting career paths because the department’s program is focused on commercial design and holds Council for Interior Design Accreditation. Interior Design Program Coordinator Connie Dyar met with Lee before he enrolled, becoming his mentor and friend. Dyar’s personal attention is just one reason Lee is grateful for his ISU experience. He was challenged by classes that ranged from research methodology and statistics to drafting and construction graphics. He especially appreciated four interior design studio courses. In one he conceived a high-end jeweler’s store. Another involved studying health care materials and bathroom codes to create a clinic. He partnered with nutrition students on yet another project to develop a cohesive restaurant design. His fourth project evolved into the NEWH submission with the help of Dyar. His win came with a $5,000 scholarship. Because he had already graduated, Lee donated the money to the department. “I enjoyed the program and have a lot of appreciation, as ISU helped me become what I am now,” Lee said. Beyond the courses, he worked as a graduate assistant with ISU’s Facilities Planning and Construction architect, interior designers, space planners and construction managers on classroom and building renovation projects. He became expert in using Revit and AutoCAD technology, which prepared him for his current job as an engineer technician at Chicago’s J.A Watts, Inc., which is a construction management and consulting firm. His work involves fiber optic drawings for an Illinois State Toll Highway Authority project and CAD drafting for American Airlines, which is upgrading check-in kiosks around the world. “It is fascinating, but the scale can be overwhelming,” Lee said, noting that he is learning more about project management and how to meet the challenge of matching creative ideas to strict budget lines. He envisions moving back to interior design in the future, stating with confidence that ISU gave him the skills to fulfill his dream to work as a designer who makes a difference.